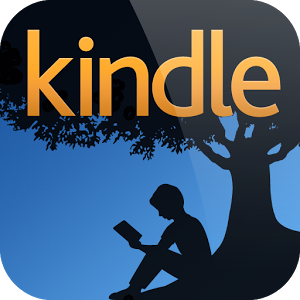 The ladies and gentlemen at Amazon would certainly prefer it if you read your Kindle books on a Kindle or a Kindle Fire, but for the several hundred million who have a regular Android phone or tablet instead, they've improved the eponymous app on the Google Play Store. 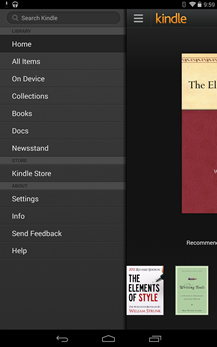 Today's update to version 4.3.0 adds a few much-needed features, most notably better organization for your growing collection of books and other documents. 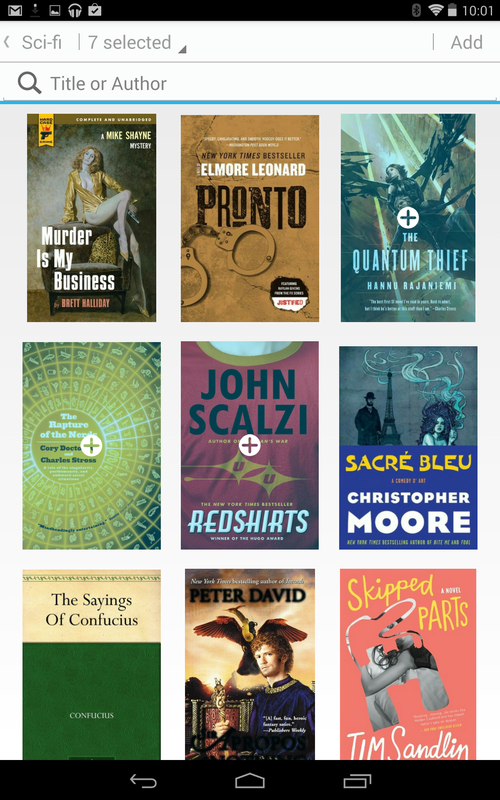 You can now group books into user-created Collections, which is basically a digital alternative to keeping sci-fi on one shelf and fantasy on another. 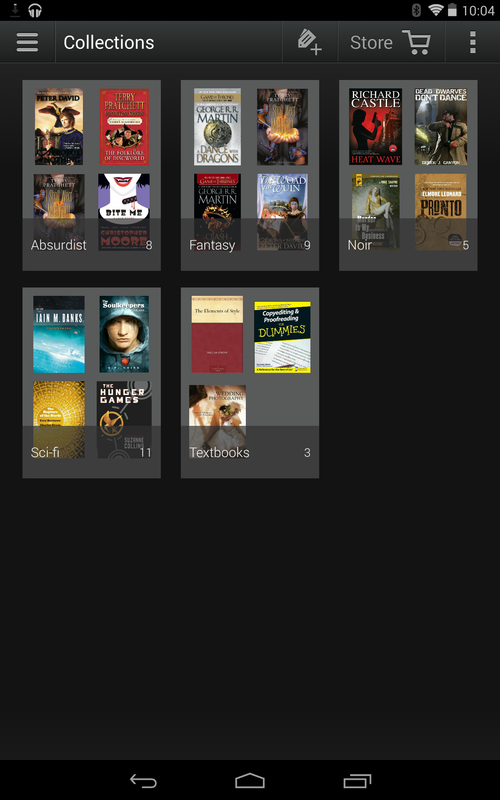 When selecting books to group into collections, you can filter by author or title, and a single book can go in more than one collection. Your selected collections should sync across devices just like your books and reading progress. This is a nice touch for avid readers, especially if their collections are so large that the regular list just doesn't cut the mustard. There are some other additions that will affect fewer people, though those who see the benefit will certainly appreciate them. Kindle now handles Android's Talkback and Explore By Touch features for sight-impaired users better - I'm not a regular user of these features, but the app automatically advances pages when reading them aloud, the lack of which some users seem to have been complaining about. Publisher fonts, which are only supported when the publisher enables them, can now be turned on or off by the user. Finally, there's a new prompt when you reach the end of a book and back out which offers a simple five star scale review that publishes directly to Amazon.com. Unfortunately there's no way to leave a textual review. 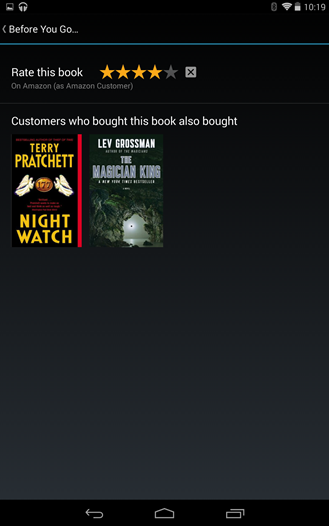 You'll also get a few suggestions based on other customers' reading habits.